After the first flush of Reformation excitement died down, the Protestant churches of Europe went into a long period of retrenchment, of digging in both doctrinally & culturally. This period lasted from the late 16th to the later 17th C. and is referred to by church historians as the Age of Confessionalism. But “confession” here isn’t the personal practice of piety in which someone admits error; Confessionalism is the term applied to how the various Protestant groups were increasingly concerned with defining their own beliefs, or confessions, in contrast to everyone else. It resulted in what is sometimes called Protestant Scholasticism. It’s called this because the churches developed technical jargon to describe their doctrinal positions ever more accurately—just as the medieval Roman Catholic scholastics had done 3 Cs before. And don’t forget, it was Roman Scholasticism that helped spark the Reformation in the first place. It was the scholastics devotion to correct theology that highlighted the doctrinal & practical errors many in the Church began to call for reform over. 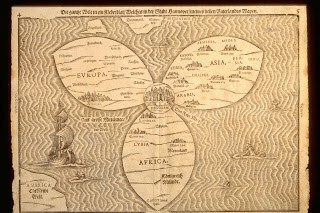 But it was also the tendency of some Scholastics to forsake practical theology in favor of the purely hypothetical that fueled the Reformation’s drive to return the practice of faith to everyday life and made religion the sphere, not just of academics & sequestered clerics, but the common people. So, we might conclude that the Protestant churches were now headed down the same path with their own version of Scholasticism. And in some cases, that’s what happened. Many of the discussions of the Protestant Scholastics became dry and technical. Martin Luther sought to overturn centuries of medieval religious jargon and get back to the original message of the NT. John Calvin is often thought of as a more ‘systematic’ theologian, but his Institutes of the Christian Religion, though carefully arranged by topics, was intended to be no more than a faithful exposition of Scripture. Luther’s & Calvin’s heirs, however, went beyond their intended simplicity. They didn’t abandon the Reformation principle of Sola Scriptura, but they sought answers to questions not found in the Bible. A prime example was the issue of predestination and the relation between grace and free will—which, at the start of the 17th C was THE hot theological topic among Protestants & Catholics. 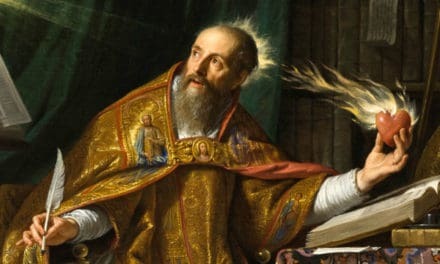 A new kind of scholasticism was produced, and some Protestant theologians were happy to use the terminology of Aristotle, and regarded the premier Roman Catholic Scholastic Thomas Aquinas as an authority. One of the key figures of this era was Theodore Beza, an aristocratic Frenchman who, although only 10 yrs younger than Calvin, outlived him by 40 & was widely regarded as Calvin’s successor. It was Beza, rather than Calvin, who was regarded by most Reformed theologians of the 17th C as the theological authority; and it was he who was especially good at recasting the terminology of Aristotle & the medieval scholastics in disputing with his opponents, who were most often Lutherans & Catholics. It was Beza who defined the doctrine of predestination and its role in Reformed theology. In doing so, he developed the doctrine of ‘double predestination’, the notion that God deliberately predestines the reprobate to damnation & the elect to salvation. It was Beza who put forward the ‘prelapsarian’ position, which says God planned the Fall and the division of humanity into elect & reprobate before Adam sinned. These ideas were present in germ-form in Calvin, but they weren’t the touchstones of Reformation orthodoxy they later become. Beza was an eloquent author. That can’t be said of all who took up their pens in the service of the Lutheran & Reformed cause. In place of Luther’s & Calvin’s attempts to simply expound what Scripture said about doctrine and theology, the Protestant Scholastics were all about logical consistency and adherence to a pre-established orthodoxy. The Age of Confessionalism is often thought of as a time when theologians conducted a war of words with sharp pens, rather than sharp swords. What comes as a surprise is how so much of their angry rhetoric was aimed, not at people far across the theological divide from themselves, but at their own, much closer colleagues. With the hardening of orthodoxy, there were inevitable splits within churches as some rebelled against what their colleagues were laying down as required doctrine. The greatest of these splits occurred in the Reformed Church at the end of the 16th C, after the preaching of Jacobus Arminius, a Dutch minister and professor taught by Beza. Arminius was initially a supporter of Beza’s views. But he rebelled against Beza’s distinctions regarding predestination and prelapsarianism, declaring them unjust. Arminius argued that if God condemns some and saves others, it must be on the basis of who has faith, not on the basis of some eternal decree He’s already worked out even before they’re born. Arminius died in 1609, but the controversy he started rumbled on thru the centuries & has continued right on down to today. His Dutch name was Jakob Hermanszoon – but as did many scholars of the day, he Latinized it to Jacobus Arminius; and it’s from that we get the theology derived from him – Arminianism – which as most listeners know, is usually posited as opposite to Reformed theology, or Calvinism. Now, before I get a pile of angry emails & comments – let me say what’s called Arminianism & Calvinism today would likely be disavowed by John Calvin & Jakob Hermanszoon. If they attended a seminary class on these topics today they’d likely say, “What’ch you talkin’ about Willis? Both Arminianism & Calvinism have taken on theological accretions & associations their authors likely never intended. And strictly speaking, we can’t equate Calvinism with what’s known as Reformed Theology. But. back to the story. è Arminius was born in the Netherlands near Utrecht. His father was a blacksmith & armorer who died shortly after Jakob was born. He was educated at the expense of family friends who recognized his keen intellect. He’d just entered Marburg University in Germany at the age of 16 when news reached him of a tragedy back home in his hometown of Oudewater. The Roman Catholic Spanish had occupied a good part of Holland for some time but were expelled from Oudewater when the city became a Protestant enclave. When the Spanish returned, they over-ran the town and carried out a brutal massacre that killed Arminius’ mother & siblings. Jakob spent 2 weeks in inconsolable mourning. When the new University of Leiden opened nearby in 1576, he was the 12th student enrolled. At Leiden he adopted the controversial theology of the French scholar Peter Ramus, a Protestant progressive killed during the St. Bartholomew’s Day Massacre. Leaving Leiden, Jakob went to Geneva where he enrolled in the Academy, then headed by Theodore Beza, Calvin’s successor. Arminius’s defense of Ramus angered the faculty of the Academy so he left for a trip to Basel where he was offered a doctorate but declined, believing he’d not bring honor to the title. Returning to Geneva, Arminius seems to have been more prudent in his approach. In 1585, Beza wrote to the city magistrates of Amsterdam who’d sponsored Arminius’s education, highly commending his ability and diligence and encouraging a continuance of their support in his studies. After a short visit to Italy, Arminius returned home, was ordained, and in 1588 became one of the ministers of Amsterdam. His 1590 marriage to a merchant’s daughter gave him influential links. From the outset, Arminius’s sermons on Romans 7 drew a strong reaction from staunch Calvinists who disliked his views on grace and predestination. The Calvinists said that while God’s saving grace is unearned, He offers it only to those He predestines to salvation. Arminius disagreed, saying God gives grace to those who believe. In 1592 a colleague accused him of Pelagianism, a 5th C heretical distortion of grace & free-will already condemned by the Church. Arminius was also accused of an overdependence on the early church fathers, deviation from 2 early Calvinist standards known as the Belgic Confession and the Heidelberg Catechism, and goofy ideas regarding predestination. When Arminius and his supporters challenged his critics, urging them to point out specifically WHERE he was in error, they were unable to do so. The city authorities ended up on his side. The question of predestination was not raised in any substantive form until Arminius became professor of theology at Leiden, where he served from 1603–9. The last 6 years of his life were spent in controversy over his views as they stood in opposition to those of his old schoolmaster – Theodore Beza. In a 1606 message titled “On Reconciling Religious Dissensions among Christians,” Arminius argued that dissension damages people both intellectually & emotionally and creates doubt about religion that leads to despair & if unchecked, ultimately to atheism. He proposed as a remedy to the controversy his ideas had stirred, the calling of a national synod. Arminius believed the proper arbiter between feuding clergy was a good & godly magistrate. The synod was eventually held at Dort in 1618, but Arminius had already been dead for 9 years! In assessing Arminius’ theological position, we could say that in his attempt to give the human will a more active role in salvation than Beza’s brand of Calvinism conceded, Arminius taught a conditional election in which a person’s free will might or might not affect the divine offer of salvation. It’s important to distinguish between Arminius’s teaching and what later became known as Arminianism, which was more liberal in its view of free will and of related doctrines than was its founder. Arminius’s views were never systematically worked out until the year after his death, when his followers issued a declaration called the Remonstrance, which dissented at several points from Beza’s description of Calvinism. It held, among other things, that God’s predestination was conditioned by human choice, that the Gospel could be freely accepted or rejected, and that a person who’d become a Christian could “fall from grace” or forsake salvation. Though he was mild–tempered, Arminius nevertheless spoke his mind in controversy and characteristically defended his position from Scripture. We’ll pick it up at this point in our next episode as we continue our look at Protestant Scholasticism. There’s a whole lot more for us to learn about this period, including the Calvinist reaction to the challenge of the Remonstrance, as well as the career of a couple of major lights in Christian history, Brother Lawrence & Blaise Pascal – as well as several others. As we end, let me again announce the 2017 Reformation Tour. 2017 marks the 500 year anniversary of the Reformation. And while most tourists will be visiting Europe in the Fall we’ll get ahead of the crowds by going in the Early Spring – March 17-19. For more information, go to the www.sanctorum.us site and go to the Reformation Tour page. Isn’t it interesting that in our attempts to define or beliefs we seem to always go too far? Yet, most preachers would swear by our need to believe correctly. It would seem that God is all about balance as long as we don’t try to define Him as a balance of power like Yin and Yang.